Looking to offer the best services to the runners Mans de Sant and Barcelona Trail Races have signed a partnership agreement. 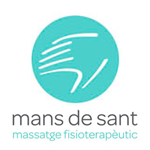 On November 24th a team of massage therapists will be available at the end of the race for all participants that request their services for free. If you are an athlete and you have planning to participate in the Gran Trail Collserola it is very important to plan massage sessions and incorporate them into your training plan. Do not hesitate to include the physiotherapist. We must understand that the therapeutic and sports massage on a person who trains every day or almost every day is one element in training, since it is of vital importance for its role in preventing injuries and improving efficiency activity esportiva. Mans of Sant will be present at the Barcelona Trail Races to help unload participants of effort. A team of professional therapists will be prepared to treat runners with manual techniques but without sacrificing the latest technology as Indiba, Thumper, ultrasound, kinesiotape, Physium and Cool Roller, the only tool that combines deep massage with cold application. 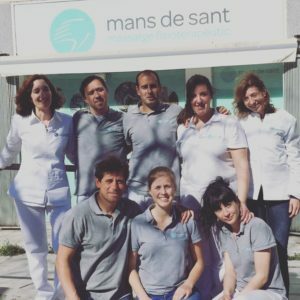 Sant Mans is the reference physiotherapy center in Sant Cugat del Valles, which specializes in physiotherapy massage. We also try typical lesions of the runners as epicondylitis, plantar fasciitis, calcifications, tendinitis, sprains of ligaments and more.